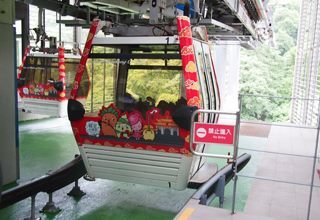 The Crystal Cabin was launched on March 30th, 2010, the Maokong Gondola’s reopening date. Since then, the Crystal Cabin has been highly praised by many passengers and received great interest from the public and the media. In order to provide passengers a pleasant new experience riding the Maokong Gondola, the new version of the Crystal Cabin—“Eyes of Maokong Gondola” was launched on November 2nd. Passengers not only can enjoy the unbelievable panorama view of Maokong but also experience the sensation of soaring through the sky. “Eyes of Maokong Gondola” Crystal Cabins are modified from the original gondola cabins. The bottom of the original cabin was replaced with tri-layer reinforced glass. The thickness of each glass sheet is about 48mm, weighing 213 kg. All of the Crystal Cabin’s glass floors meet all safety requirements and are CE certified (with CE marking). 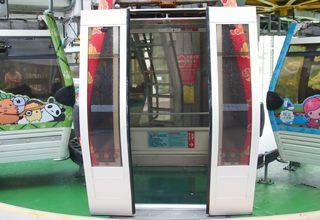 The maximum capacity for each “Eyes of Maokong Gondola” Crystal Cabin is 5 passengers. 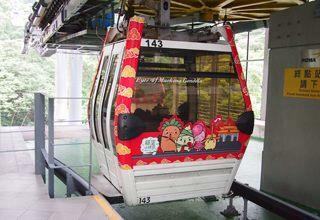 Currently, there are 31 “Eyes of Maokong Gondola” Crystal Cabins. 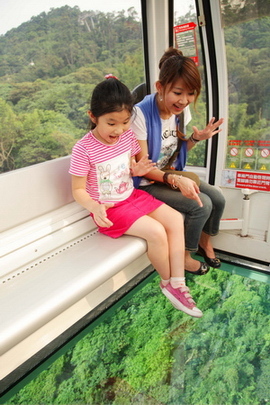 The Crystal Cabins depart from the Taipei Zoo/Maokong Station’s platform every 2~4 minutes. Taipei Metro reminds all passengers to follow all regulations and procedures when riding the Maokong Gondola. Passengers who have heart disease, high blood pressure, acrophobia, or any other physical/medical conditions that can cause discomfort when riding should NOT ride in the Crystal Cabin. If any passenger experiences any discomfort when riding the “Eyes of Maokong Gondola” Crystal Cabin, please change to regular cabin at the next station. 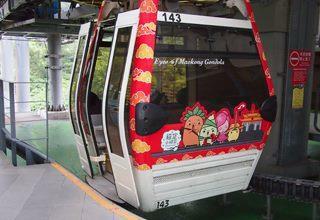 Please follow all instructions and enjoy the “Eyes of Maokong Gondola” Crystal Cabins.